Saturday saw the launch of the new BMW 5 Series sedan. 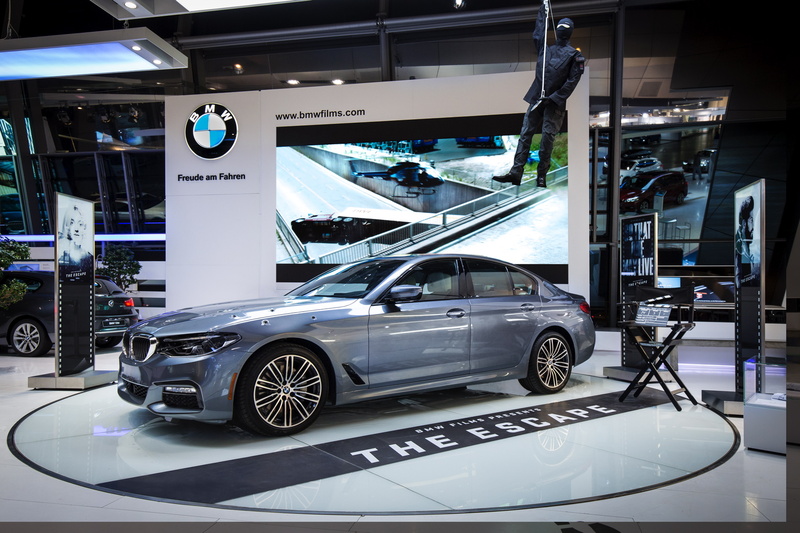 At the same time, BMW Welt is devoting an exclusive special exhibition to the world’s most success business sedan. Visitors have the opportunity not only to see two models up close but also to experience the new technical features at interactive stations. 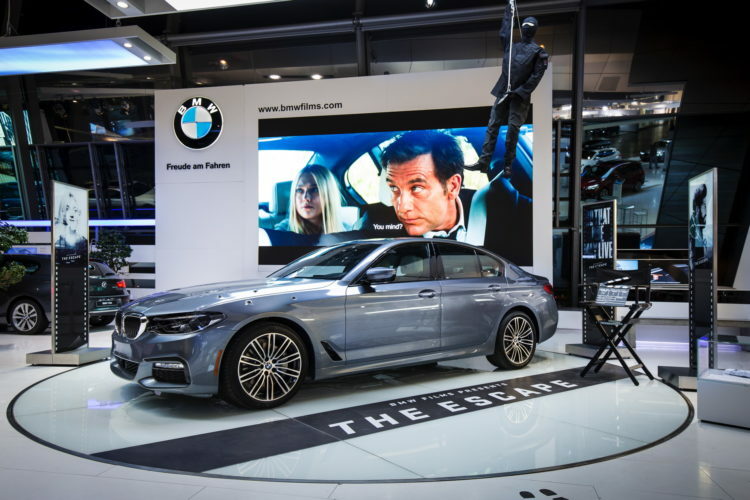 And film fans have the chance to view the new BMW film “The Escape” and see the actual car used in the film along with several props. 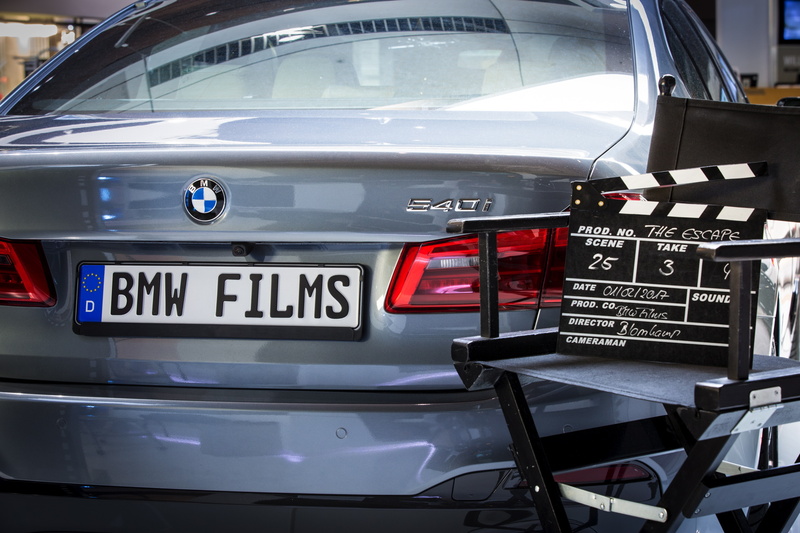 In the latest release from BMW Films, “The Escape”, the new BMW 5 Series sedan plays the leading role. Clive Owen, the Hollywood actor and cult driver from “The Hire” films, plays a mysterious hired driver and rising star Dakota Fanning plays Lily, a clone, in an action-packed short featuring thrilling chase sequences and breathtaking stunts. From now till February 25, visitors to BMW Welt have a unique opportunity to experience the original BMW 5 Series model from the film “The Escape”. Other film props and exclusive insights into the making of the short make this special exhibition a one-off experience – and not just for cineastes. “The Escape” is an homage to the legendary “The Hire” series of BWM films on its 15th anniversary. A total of eight of those films were made in two series in 2001 and 2002. Each of the films featured Hollywood greats both in front of and behind the camera. Playing alongside Clive Owen as the hired driver, were stars such as Forest Whitaker, Mickey Rourke, Madonna, Gary Oldman and James Brown. Cult directors including Guy Ritchie, Ang Lee, David Fincher and Ridley Scott took the BMW shorts to Hollywood level, which did not go unnoticed at international film festivals. In addition to the Titanium Lion in Cannes, “The Hire” won just about every other award for the creative arts.